Andhra Bank” was founded by the eminent freedom fighter and a multifaceted genius, Dr. Bhogaraju Pattabhi Sitaramayya. The Bank was registered on 20th November 1923 and commenced business on 28th November 1923 with a paid up capital of Rs 1.00 lakh and an authorised capital of Rs 10.00 lakhs. Job Description:We are looking for young, qualified, mobile and active minds who can be imparted with the necessary knowledge and skills required to be good all-round bankers through the 1 year Post Graduate Diploma in Banking and Finance course in tie-up with Manipal Global Education Services Private Limited, Bangalore Candidates shall be selected through a process consisting of online exam followed by Personal Interview. Interested candidates who fulfil the eligibility criteria may apply online by visiting website www.andhrabank.in during 17.11.2015 to 01.12.2015 and no other mode of application will be accepted. 1. Degree (Graduation) in any discipline from a recognized University OR any equivalent qualification as such recognized by Central Government. 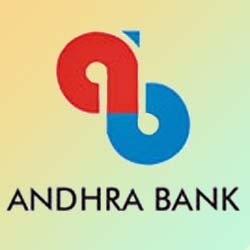 How to Apply:Candidates can apply online only from 17.11.2015 to 01.12.2015 through the link in the careers page of the Banks website (www.andhrabank.in) and no other mode of application will be accepted. 1. Scan their photograph and signature, ensuring that both conform to the required specifications given in Annexure-I to this notification. 2. Keep the necessary details of Educational Qualifications and other personal details handy for entering in the online application. 3. Create a valid personal email ID, if not already done. The email ID should be kept alive for entire duration of the selection process. Under no circumstances, the applicant should share email ID with any other person. Third party email ID is not permitted.